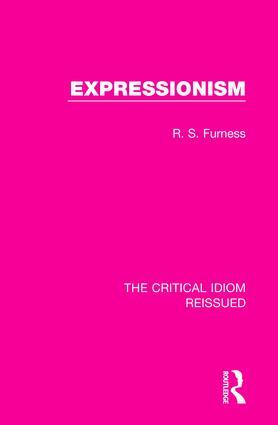 First published in 1973, this book provides a helpful introduction to expressionism in literature. After providing a helpful introduction to the origins and defining characteristics of expressionism, the book traces the movement in Germany from 1900 through to the 1920s and its dissemination across Europe and North America. It concludes with a summary of the decline of expressionism from the mid-twenties onwards. This book will be of interest to those studying German and European literature in the early twentieth-century.